... The bank (HSBC) admitted to laundering billions of dollars for drug cartels in Mexico and Colombia, washing money for terrorist connected organizations in the Middle East, allowing rogue states under formal sanctions by the U.S. government to move money freely by the tens of billions through its American subsidiary, letting Russian mobsters wash money on a grand scale using a see-no-evil traveler's checks program, and helping tax cheats and other crooks from Miami to Los Angeles to Peru hide hundreds of millions of dollars in nearly anonymous "bearer share" accounts. ... Nothing. In terms of jail time, anyway, the penalty was nothing. No individual would be charged with anything or have to pay a dollar in fines. No person in any of HSBC's banks anywhere in the world had to have so much as a ticket on his record. The only penalty was a settlement. It was a big fine: $1.9 billion, at the time the biggest such fine in history - which sounds impressive until you realize the sum equaled about five weeks of revenue for a bank that earned somewhere north of $22 billion a year. Oh, and HSBC had to partially - not fully but partially - defer some of its bonus payments to top executives. And it had to apologize, which it did. "We are profoundly sorry," said CEO Stuart Gulliver. ... "I don't think the banks got off easy," he (Breuer) said, adding, "We've held them very much accountable. I'm not sure you can find a more robust resolution." But Breuer was standing less than a mile from a homeless drifter who at that very minute was getting a "more robust solution" for having half a joint in his pocket. For aiding and abetting drug cartels suspected in more than twenty thousand murders, groups famous for creating the world's most gruesome torture videos - the Sinaloa Cartel in particular, with its style of high-volume reprisal killings and public chainsawings and disembowelings, makes al-Qaeda look like the Peace Corps - HSBC got a walk. Tory Marone, for smoking their product and passing out on a park bench, got sent to jail. ... The crowd of reporters was getting restless by now - Breuer was losing control. 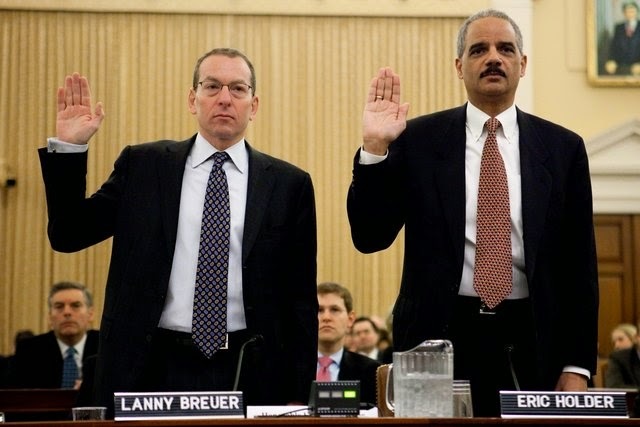 At this point, (Eric) Holder tagged Breuer out of the ring, smoothed his tie, and stepped to the lectern. Thirteen years after authoring his Collateral Consequences memo, Holder was finally going to explain it, out in the open, to the entire world. "I'm not talking about just this case, but in others that we have resolved, the impact on the stability of the financial markets around the world is something that we take into consideration," Holder began. "We reach out to experts outside of the Justice Department to talk about what are the consequences of actions that we might take," Holder explained, "[and] what would be the impact of those actions if we wanted to make a particular prosecutive [sic] decision or determination with regard to a particular institution." The crowd of reporters listened in stunned silence to this speech. "So that," Holder concluded, "factors into the kinds of decisions that we make." ... Collateral Consequences was out of the bag. After years and years of mysterious nonprosecutions and expertly negotiated cost-of-doing business fines, we finally had the policy it all led to. ... Our democracy, tilted as it may be, provides two routes by which reform might happen. Those in the 99 percent could come to realize that they have been duped by the 1 percent: that what is in the interest of the 1 percent is not in their interests. 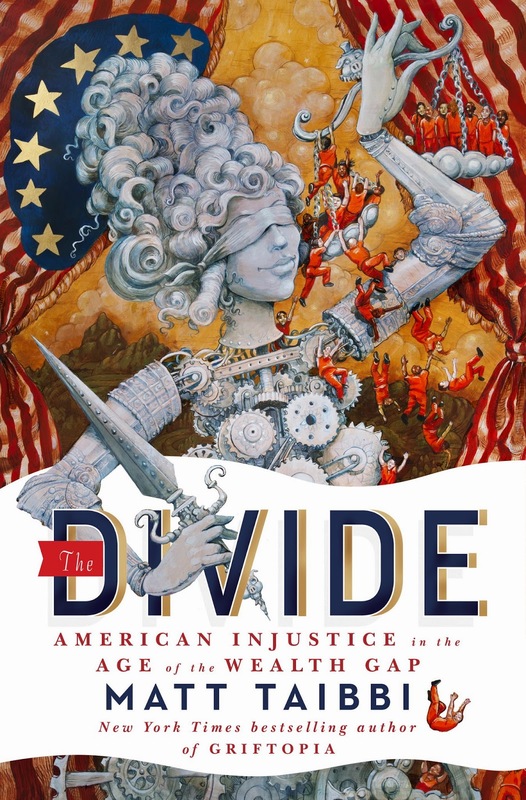 The 1 percent has worked hard to convince the rest that the alternative world is not possible; that doing anything that the 1 percent doesn't want will inevitably harm the 99 percent. 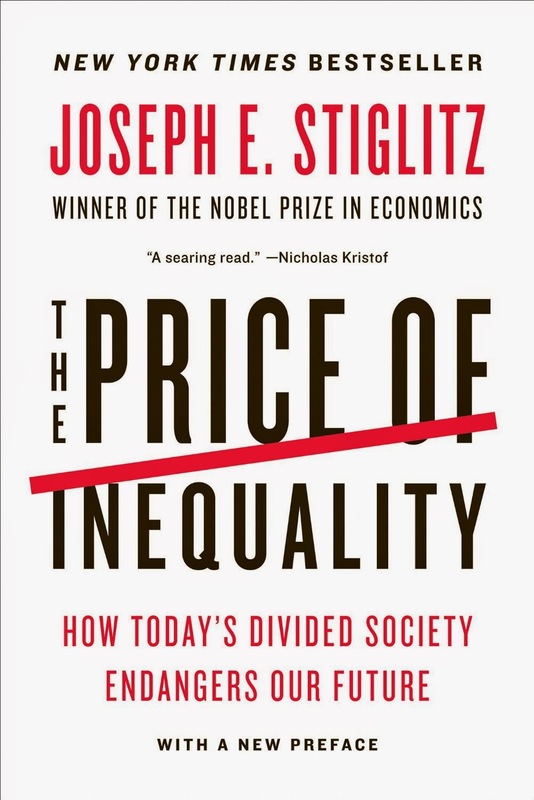 Much of this book has been devoted to destroying this myth and to arguing that we could actually have a more dynamic and more efficient economy and a fairer society. In 2011 we watched people take to the streets by the millions to protest political, economic, and social conditions in the oppressive societies they inhabit. Governments toppled in Egypt, Tunisia, and Libya. Protests erupted in Yemen, Bahrain, and Syria. The ruling families elsewhere in the region looked on nervously from their air-conditioned penthouses. Will they be next? They are right to worry. These are societies where a minuscule fraction of the population - less than 1 percent - controls the lion's share of the wealth; where wealth is a main determinant of power, both political and economic; where entrenched corruption of one sort or another is a way of life; and where the wealthiest often stand actively in the way of policies that would improve the lives of people in general. As we gaze out at the popular fervor in the streets, we might ask ourselves some questions. When will it come to America? When will it come to other countries of the West? In important ways, our own country has become like one of these disturbed places, serving the interests of a tiny elite. We have a big advantage - we live in a democracy - but it's a democracy that has increasingly not reflected the interests of large fractions of the population. The people sense this - it's reflected in the low support they express for Congress and in the abysmally low voter turnout. And that's the second way that reform could happen: the 1 percent could realize that what's been happening in the United States is not only inconsistent with our values but not even in the 1 percent's own interest. Alexis de Tocqueville once described what he saw as a chief element of the peculiar genius of American society, something he called "self-interest properly understood." The last two words were key. Everyone possesses self-interest in a narrow sense: I want what's good for me right now! Self-interest "properly understood" is different. It means appreciating that paying attention to everyone else's self-interest - in other words, to the common welfare - is in fact a precondition for one's own ultimate well-being. Tocqueville was not suggesting that there was anything noble or idealistic about this outlook. Rather, he was suggesting the opposite: it was a mark of American pragmatism. Those Americans understood a basic fact: looking out for the other guy isn't just good for the soul; it's good for business. The top 1 percent have the best houses, the best educations, the best doctors, and the best lifestyles, but there is one thing that money doesn't seem to have bought: an understanding that their fate is bound up with how the other 99 percent live. Throughout history, this has been something that the top 1 percent eventually do learn. Often, however, they learn it too late.